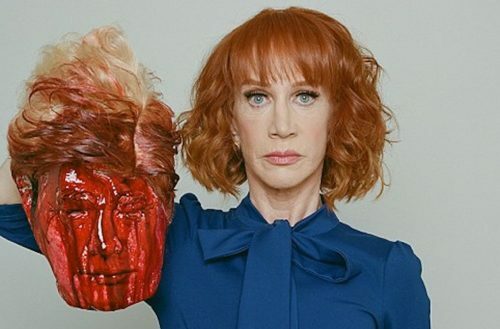 We all remember last may when Kathy Griffin made headlines over a photo. 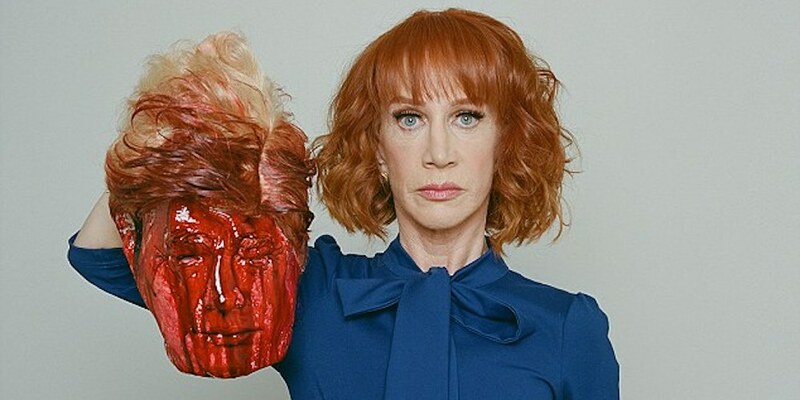 The photo in question — seen above — was taken by photographer Tyler Shields and shows Griffin holding President Trump’s severed, bloody head. Well, a plastic replica thereof, at any rate. That wasn’t enough for her critics. Not only did they get her fired from her CNN gig as New Year’s Eve co-host with Anderson Cooper. Not only did she lose her endorsement deal with Squatty Potty. And part of that campaign against Griffin involved being investigated by the Secret Service. The Secret Service interviewed Griffin, in person, for over an hour. The investigation remained open for two months, but finally a bit of good news. While Griffin kept a lower profile after the controversy, she didn’t back down from criticising Trump. Earlier this month, she tweeted that she’d met Rob Goldstone first before Donald Trump, Jr. Goldstone is the man believed to have set up the meeting between Donald Trump, Jr. and a Russian lawyer. The lawyer claimed they had information that could be potentially damaging to Hillary Clinton.